Every person on your team can have their own account with personal preferences on alerts and scheduled exports. Invite and manage team members from the Team page. When you invite team members, each one will have their own Rival IQ login and can work on all of the shared landscapes on the account. You should definitely invite team members if each colleague has access to different sets of social accounts, like different Facebook and LinkedIn pages. Or, if each colleague cares about reports from only a few landscapes or wants customized alerts in their inbox, they should have their own login. Click “Invite User” from the Team page to add a member to your team. 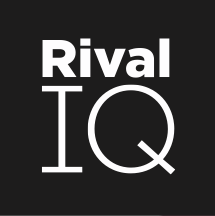 Your team member will receive an invitation in their email to confirm their Rival IQ account and set a password. Owner - A single team member that has full administrative access and can make any changes to the account, including payment changes. Full - One or more team members that are able to make changes to the account, like adding companies and landscapes, but cannot make changes to the account plan. From the Team page, you can also change a team member’s email, set their password, or remove them from the account. Note: Team sizes are set by your Rival IQ plan - contact your Customer Success Manager if you need additional account members.